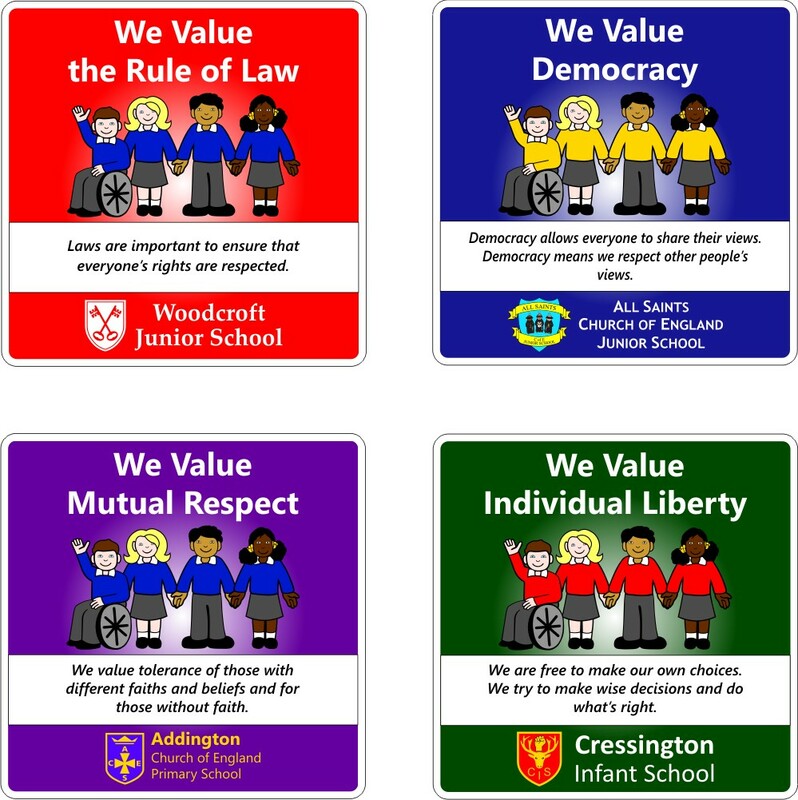 Since 2014 every school now has a duty to promote the fundamental British Values to ensure that young people are prepared for their life in a modern Britain. 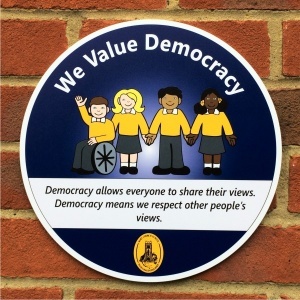 We offer a range of signs that offer a simple but effective way to help celebrate and promote our British Values in and around your school. 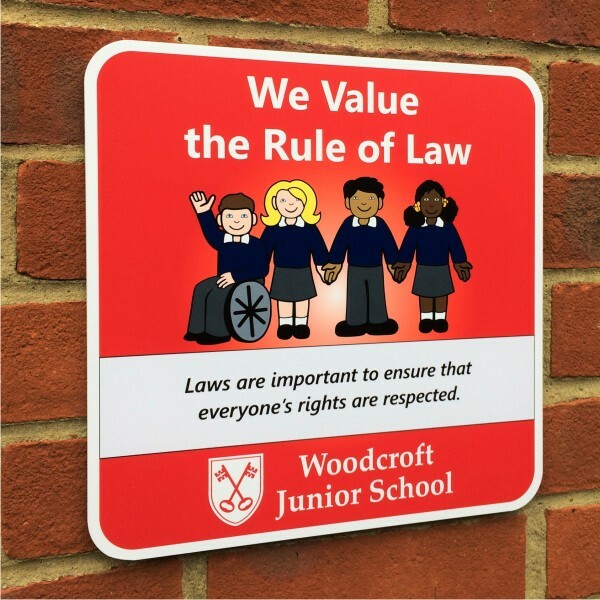 Custom printed on a durable 3mm aluminium composite panel each set of 4 signs comes with pre-drilled holes to enable quick and easy fitting to fences, gates or school railings via screws or cable ties. 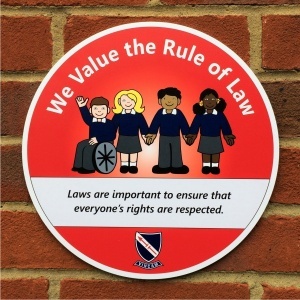 Each sign has a clear protective anti-graffiti face film fitted as standard. 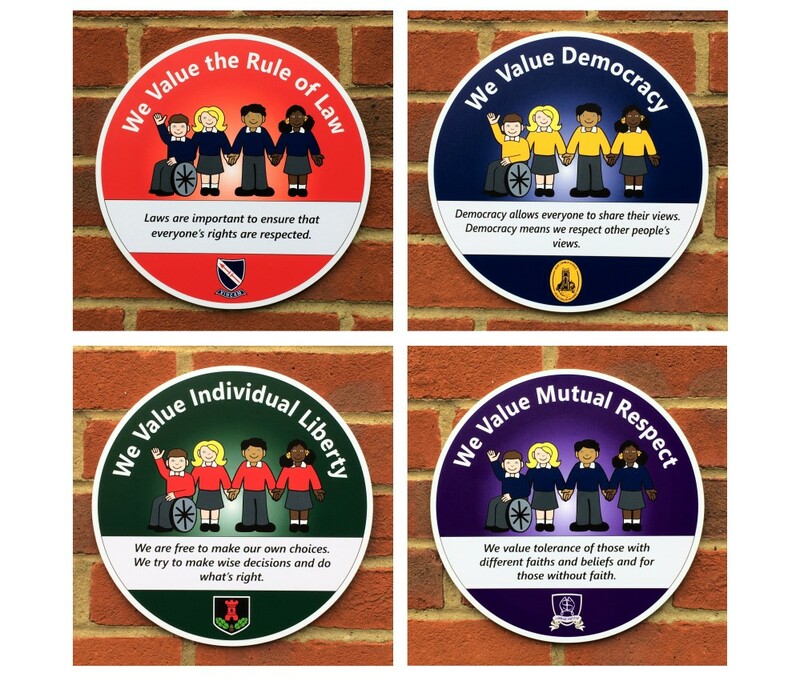 Each set of 4 signs is available in a choce of either circular or square designs. 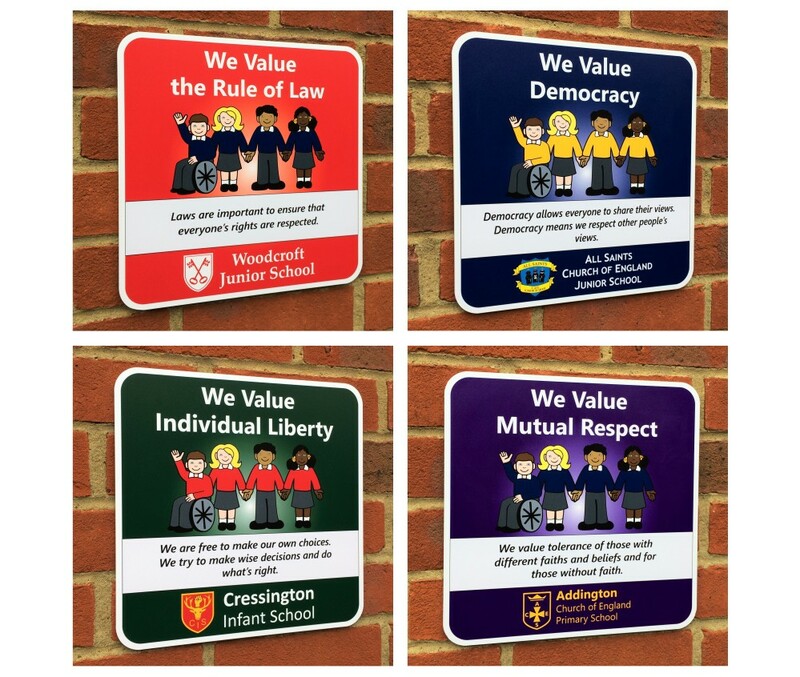 We can supply each set of signs to your corporate colours or to match your school uniform - Simply send us a good cop of your school logo or crest and specify which set of signs you require. 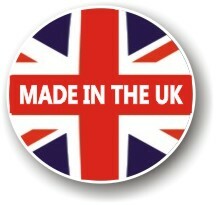 Our designers will send you a colour proof for your consideration and approval before manufacture. 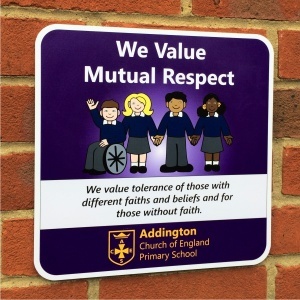 Aluminium Composite Material (ACM) is a durable rigid sheet material that is widely used in the construction and signage industries. 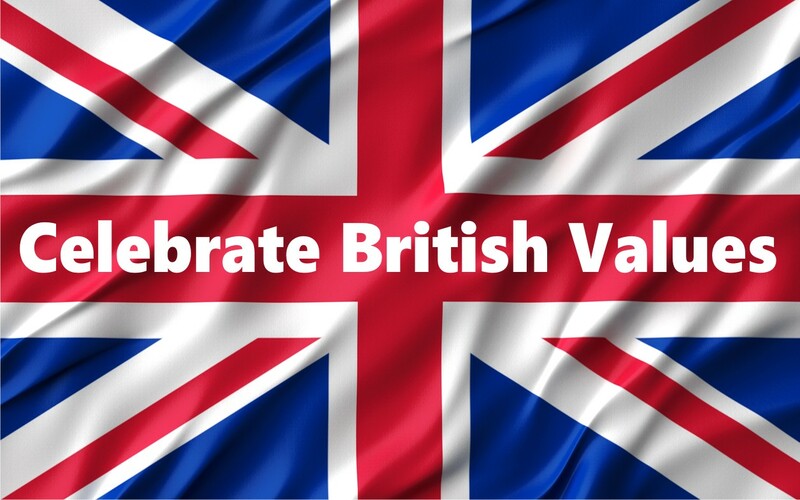 It is an aluminium faced material with an ultra smooth flat surface. 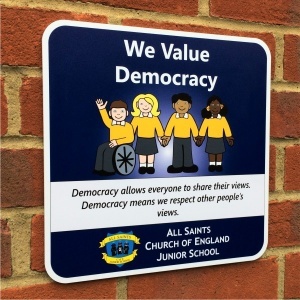 ACM is ideally suited to the application of vinyl lettering, logo's and full colour printed images. It is also widely used for large format direct to surface UV printing. 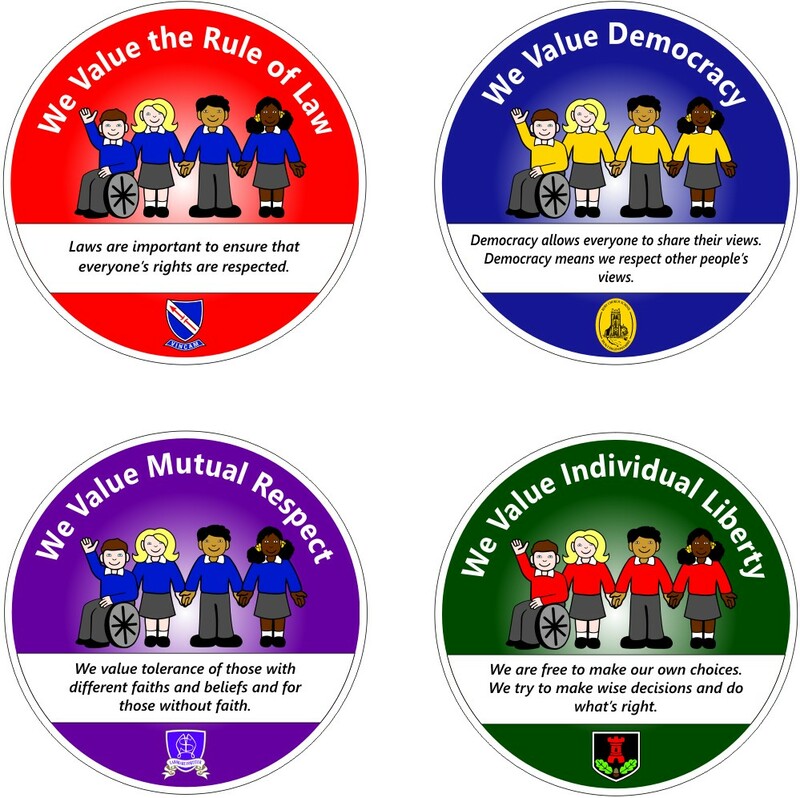 The finished sheet is lightweight yet durable and totally waterproof. 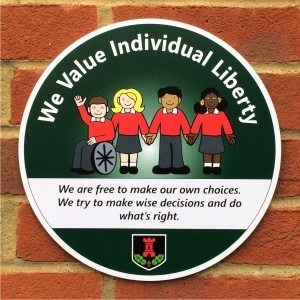 ACM is ideally suited for long term internal and external signage applications.